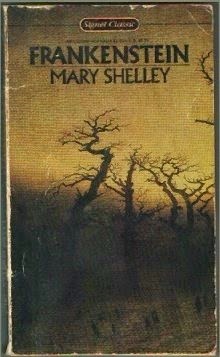 When I was in high school, I had a friend who was obsessed with the movie, Mary Shelley's Frankenstein. Whenever we'd go to his house to hang out, it was pop, snacks, and that movie. Over and over and over again. That's probably why this book has been sitting on my shelf for several years and I've continued to remain uninterested in reading it. However, it's one that I promised myself I'd read this year so I decided to get it over with. I wish I could say I loved it --- but I didn't. I am glad I read it---but mostly so I can say that I've read it. Ha! Like Orwell's 1984, it's one of those 1001 books I probably could have died without reading. Book Description: "The story of Victor Frankenstein and his monstrous creation has held readers spellbound ever since it was published two centuries ago. On the surface, it is a novel of tense and steadily mounting horror; but on a more profound level, it offers searching illumination of the human condition in its portrayal of a scientist who oversteps the bounds of conscience and of a monster brought to life in an alien world, ever more desperately attempting to escape the torture of his solitude. A novel of hallucinatory intensity, Frankenstein represents one of the most striking flowerings of the Romantic imagination." Nah...not really. No horror. Not really profound. No hallucinatory intensity. If by "flowerings of the...imagination" we mean "great imagination---budding writer", then yeah, I'll give you that one. Mary Shelley was barely nineteen years old when she wrote this and, although it was published within months of Frankenstein, this is exactly the kind of gothic nonsense Jane Austen was parodying in Northanger Abbey. The idea of a scientist pushing the bounds of human convention to create non-human life is brilliant. The idea of the "monster" developing human abilities and emotions is brilliant. The way Shelley made it all happen? Not so brilliant. I was left with way too many questions on this one. How did the monster learn all he did in just a few months of spying on his neighbors? How does he go from inanimate blob to quoting Plutarch and Milton in such a short amount of time? His knowledge is inconsistent. For instance, he knows about the mythical character of Pandemonium but he doesn't know fire will burn him? Shelley wrote this as part of a dare between herself, Lord Byron, her husband, Percy Bysshe Shelley, and another friend. Throughout the entire book, all I could imagine when the monster was prattling on and on was that Mrs. Shelley was really just wanting to show off all her knowledge to these obnoxious men she was in competition with. Critics say this is a story of a monster that was more human than his creator. They say Frankenstein drove the monster to his "badness" and that it was all his fault that the monster committed evil acts. That might be the case if Shelley didn't have him rant in endless philosophical orations. She makes the monster appear more intelligent than the scientist. I'm definitely holding the monster accountable for his own actions. He obviously has a conscience. This book fulfills my goals for the Full House Challenge: Type of Book You Rarely Read, the TBR challenge (Book #5), and the New To You Challenge for New Author. 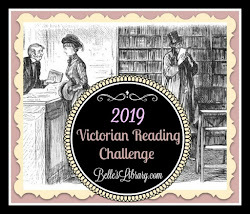 You can read more about my reading challenges here. This sounds like a good fantasy read, but not really my type. I am glad you finished it for your goal!